Earlier this morning, ABC Networks, which are owned by Disney, dumped the hit TV revival of Roseanne, announcing their would be no second season because of a series of racist tweets by star and creator, Roseanne Barr. Roseanne tweeted inappropriate comments comparing a former member of Barack Obama’s staff to an ape – among other insane comments bashing Muslims and Hillary supporters. Despite the backlash, Netflix has announced that they will “gladly” pick-up the cancelled series for continuation. 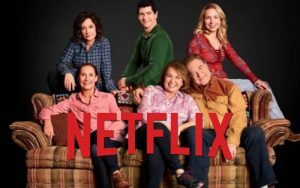 “We have no problems with what Roseanne said in her tweets – those are her personal opinions, and they have nothing to do with making money, which she is very, very good at,” said Netflix CEO Reed Hastings. “ABC hadn’t seen numbers like hers in years, and they were absolutely stupid to dump it while she’s still hot. We have already decided to add Roseanne to our platform, and know that our viewers will be ecstatic. Although parts of the new season were already shot before the show was cancelled, there were no completed episodes, and Hastings has said they will start from scratch, but that viewers will be “very excited” by the changes. 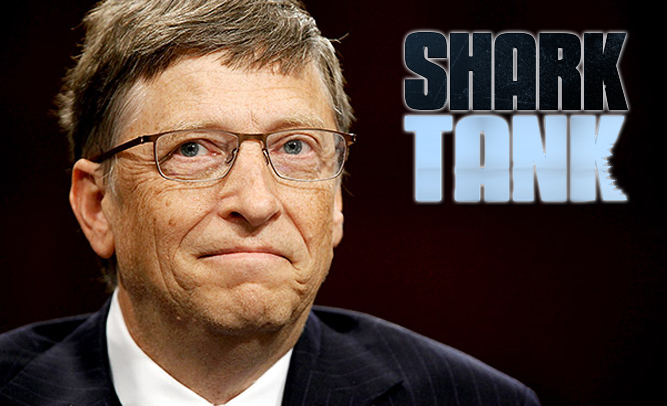 Although they had tried to keep the news quiet, ABC recently confirmed rumors that the world’s richest man, Bill Gates, the former chairman of Microsoft Computers, would be a guest on their hit TV series Shark Tank. Fans of the show they are very excited to see Gates on the series, as he is well known for his extreme generosity when it comes to charities and investments. Several people, though, are not as enthusiastic about Gates coming onto the show – the current panel of “Shark” Investors. Marc Cuban, who is the only billionaire sitting regularly on the panel, says there is already animosity towards him because he is more wealthy than all the other sharks – combined. Other guests on the show have included comedian and entrepreneur Jeff Foxworthy, who has an estimated net worth of $100 million, and GoPro Camera inventor Nicholas Woodman, who is the wealthiest investor to appear on the show so far, worth over $3.5 billion. Mark Cuban is worth an estimated $2.7 billion. Bill Gates says he is “excited” to be on the show, but doesn’t know what he is looking to invest in, but hopes that at least one of the companies has created a new, better prophylactic.